As the smartphone begins replacing the desktop computer, it’s becoming more important for businesses to stay up to date with new mobile marketing technologies. 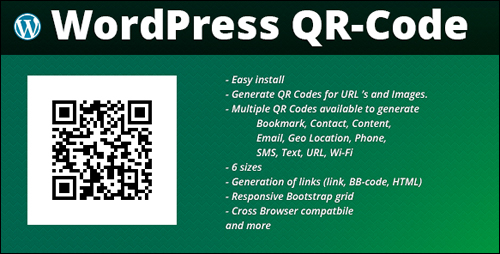 In this tutorial, you will learn about QR Codes – a technology that combines offline marketing, online marketing, and mobile marketing to help you increase sales and grow customers and subscribers, and how to add QR codes to WordPress using plugins. 89% of time spent online on media is spent inside mobile apps. QR Code Statistics: Although QR Codes have mixed adoption rates in different parts of the world, the use of the technology seems to be gaining momentum as the number of smartphone owners increases across the globe and marketers look for innovative ways to reach and engage mobile consumers. 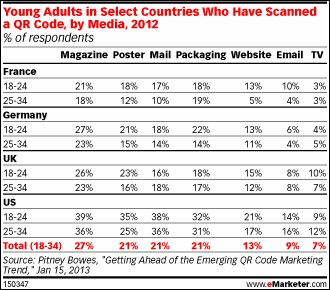 Statistics show that on average, 1 in 5 Americans has scanned a QR Code, with Europe not far behind. Although print is the primary media placement for QR Code engagement, printing trend research shows that response rates are higher with QR Codes than direct mail. For this reason, we believe that it is important to have at least a basic understanding of QR codes and how to use these when planning your online business marketing and promotion strategies. To survive in today’s highly competitive global marketplace, businesses have to find creative and unique ways to connect new buyers with their products. If your business is not using QR Codes in your promotional campaigns, you risk losing customers to competitors who have already implemented this technology and who are using QR codes in creative and exciting ways. Originally used as a tracking mechanism for auto parts, QR codes are becoming increasingly popular as a useful tool in marketing and convenience related applications for smartphone users. You will most likely begin to see QR codes showing up more and more on marketing materials, product packaging, and creative advertising such as movie posters, promotional posters for various products, billboards, flyers, newspaper ads, business cards, artwork, and a whole range of other applications. To use QR codes, you need a mobile phone with a camera and Internet connectivity and a QR code reader. 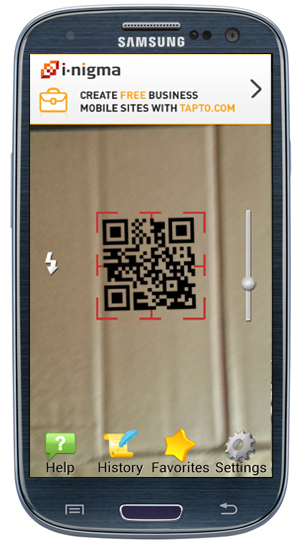 As mentioned earlier, scanning a QR code is simple. Once you have installed your reader, start the application and take a picture of the QR code. Feel free to scan any of the QR codes on this page to get an idea of how these work. Depending on your QR reader software, it could take a few seconds for the application to decode the information written behind the code (this is called resolving the link). Make sure that your image is not distorted, or too small to scan, as this can affect a reader’s ability to scan the code. Leave space around the scannable part of the image. This helps QR code readers find and scan images faster. Although you can add images like logos in the center of the code image (see ‘Custom QR Codes’ section further below), it’s best to ensure that nothing interferes with the code itself. When printing codes on physical items (e.g. business cards, or packaging materials), always test your code on a printed sample first before committing to printing large quantities. Some materials can interfere with the scanning process (e.g. very glossy surfaces). Do you plan to promote your business using QR codes and need an instruction sheet to show other people how to install and use QR code scanners? There are many reasons why local “bricks and mortar” storefronts would want to implement mobile marketing and QR Codes into their advertising campaigns. For example, women account for the majority of mobile technology purchases made in the past three years, so it would make sense to target campaigns aimed at products and services that women like to shop for. 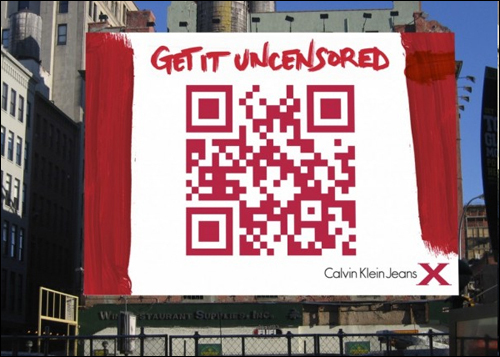 Using QR Codes technology to sell clothing apparel gives customers the ability to access goods more easily than ever before. Customers can simply run the barcode by their smartphone and within seconds find out every detail, from price to availability, all in the palm of their hands. This can also save customers and customer service departments valuable time answering support questions. If it decodes a URL or web address, for example, the QR code reader will open your mobile browser and load the mobile site the code links to as its destination. If it’s a file that contains contact information for a person or business (e.g. a VCF card), then the application will ask you if you want to save the information into your address book. While there may not be much benefit in using QR codes to send online visitors to your other online properties (you can just use a text or image link to do this) QR codes are a great way to connect the physical world to your internet presence. The emerging QR code technology is extremely versatile and cost effective and offers incredible benefits and opportunities for business owners everywhere. 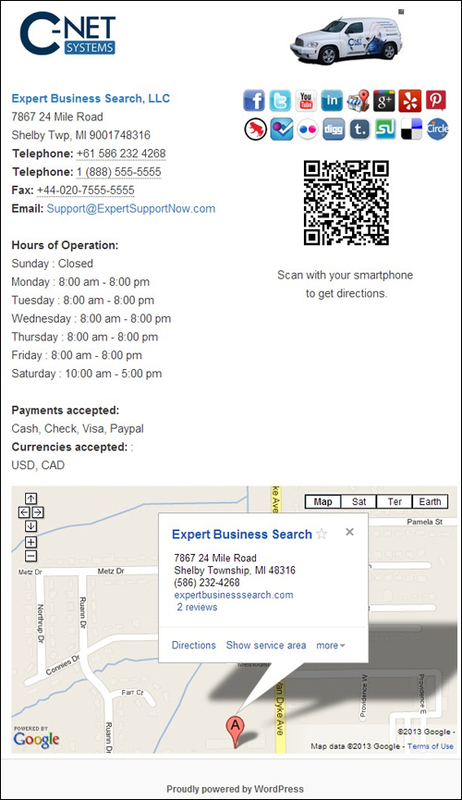 For example, you can generate a QR Code and print it on your business card, company letterheads, or marketing mailouts. QR codes offer a perfect way to connect your offline and online business activities, especially now that mobile phones such as smartphones allow you to connect quickly with anything that is online, no matter where you are. If you own a retail store, you can add QR codes to the product description tags. When people in your store scan the code, their phone brings up an in-depth review of the product that you have posted on your blog. Again, if you own a store, you can also use a QR code to give away a freebie or come up with some fun promotion to get people to come into your store. For example, you can place a sign outside your shop that gives anyone who scans the code a 10% discount or special offer when they come inside and buy. If you are a real estate agent, you could include a QR code on a for sale sign outside the property that opens a video on the potential buyer’s mobile phone giving them a walkthrough of the property. If you own a company, why not place QR codes on your team members or employees’ business cards? 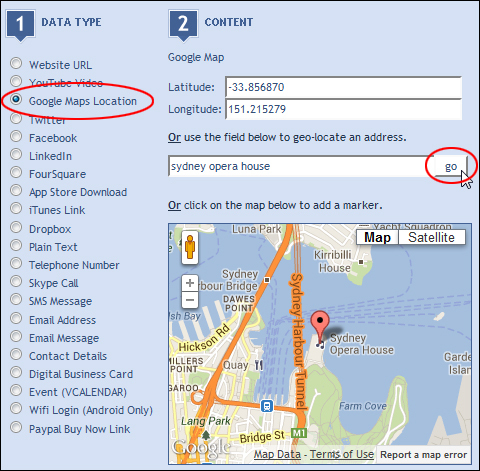 This will make it easier for others to connect with your Facebook page, or link with your people on social networks or professional sites, add their details to their phones, etc. If you manufacture or sell your own products, add a QR code to the packaging or product label. For example, a wine maker or distributor could include QR codes on their wine labels. This way, when the wine is served in a restaurant, patrons could scan the QR code and learn more about the wine’s vintage, its vineyard, or even be redirected to an online store or mobile landing page where they can order a case or two for home delivery … all while still enjoying the wine. Ethically or sustainably sourced products can have QR codes on their labels that point to pages on your site explaining how the product was sourced, the processes involved, etc. Businesses can engage in cross-promotional ventures and even lease “real estate” on their packaging to other businesses. For example, if your business supports a particular charitable organization or worthwhile cause, you can add a QR code on your packaging linking people to the charity’s website or donation page. 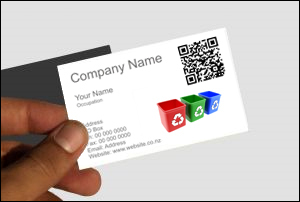 Business Cards – recipient scans the code to import your contact info. Bus / Subway / Train Ads – Use the QR code to provide website URL or contact info. Discount Codes & Coupons – Scan the QR code to get a text message with a discounted coupon code to use today (e.g. 65% off)! Call Phones – Scan the QR code to call us now and place your order! 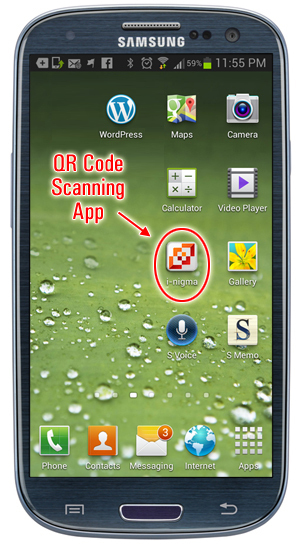 There’s An App For That – QR Code takes your customer to a page where they can download your mobile app to their phone. Menus – Customers can learn about your restaurant or establishment, menu specials, etc. while they wait for their order. Window Signs – People walking by after hours can get information about your store and visit your website. 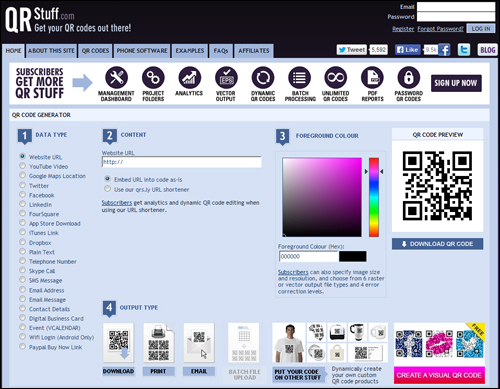 Hundreds more uses – the only limit to marketing with QR codes is your imagination! Are you starting to get the bigger picture? With the buzz that QR Codes have been creating lately, it is becoming clear that they offer a unique way to connect mobile consumers with businesses and online digital content, quickly and easily. For example, if you are a local business, you can add a QR Code to your contact page that will allow customers to call you directly from their mobile phones. All they have to do is scan the code, and their phone will automatically load your phone number, ready to begin dialing your business. Some brick and mortar stores have already begun to get creative with QR Codes. Many now have the code available, so customers can see the huge array of work they offer right on their phone. A few years ago, many people refused to accept the internet as a viable shopping alternative. Now, it is a giant threatening to kill off the traditional local stores. 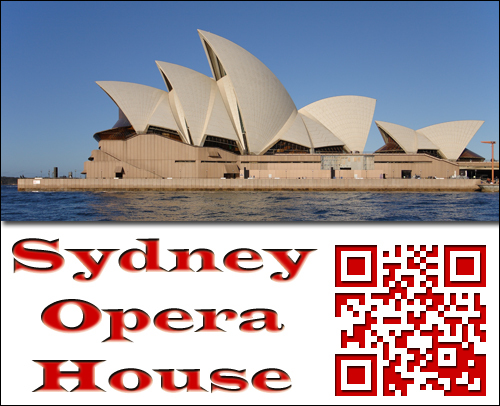 Nevertheless, you can gain so much by allowing your business to grow with QR Codes. If your competitors are using QR Codes and you are not, then you are lagging behind. Businesses that fail to incorporate new marketing methods and smart online technologies will lose out on additional forms of revenue in the near future and possibly go out of business, especially as more and more people are now shopping online. The implementation of mobile marketing technologies like QR codes into your business will cost you so much less than the potential revenue you stand to lose. By now, you may be wondering how you can create a QR code to promote information about your business, products or services to potential customers. There are a number of excellent QR code generation services available that let you create QR codes for professional use. Many online services allow you to create QR code images for free (just search online for ‘free qr code generator online‘). 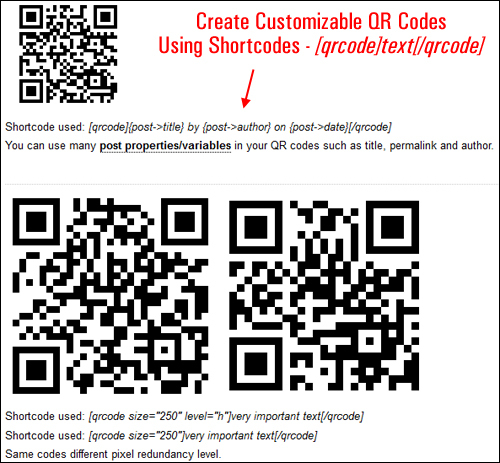 QRCodeMonkey lets you create a high resolution QR code for use in printed material, websites, banners, etc. 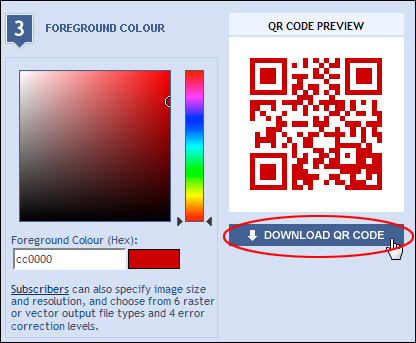 After creating and downloading your QR image, save it as different sizes (e.g. 1,000 px, 500 px, 350 px, 200 px, etc.) to your hard drive and S3 account. Use these images in your marketing promotions. Can you include branding in a QR code? Yes, you can! The QR Code technology allows for a certain amount of error correction to be built into QR codes, so companies can add a logo, marketing message, and other types of design elements into their QR codes. If you do decide to get a custom QR code created for your business, just make sure that you test your enhanced QR codes extensively before printing them in large quantities (e.g. labels or business cards), or making them publicly available. You want to avoid the expense, frustration and potential damage caused to your brand from using QR codes that don’t scan properly. 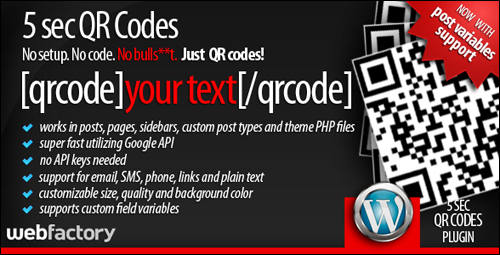 A number of useful WordPress plugins are available that let you display QR Codes on your site for various purposes. This plugin requires no setup. Your QR codes are created using shortcodes that can be added to your posts, pages, sidebars, custom post types and in your theme files. You can create QR code images for email addresses, SMS and phone numbers, links and plain text, and customize their display size, quality and background color. 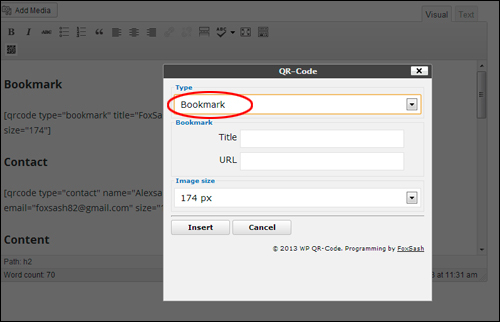 This free plugin lets you log into your WordPress site by scanning the QR code displayed on the login page with your smartphone. You may want to install this plugin if you are concerned about entering your login details on computers and networks where security might be compromised and key loggers could be possibly installed. Some other reasons for using this plugin are to enable a faster login and not having to remember passwords. QR code usage is predicted to become more popular as smartphone usage increases. QR codes are easy to generate and more consumers are now getting used to scanning them for information. Hopefully, this tutorial has shown you a number of ways you can grow your business, engage your audience and drive more visitors to your website, Facebook pages, YouTube videos, special offer pages, or anywhere else you want to send visitors, prospects or customers to using QR codes.